We have found our new favorite pro wrestler. 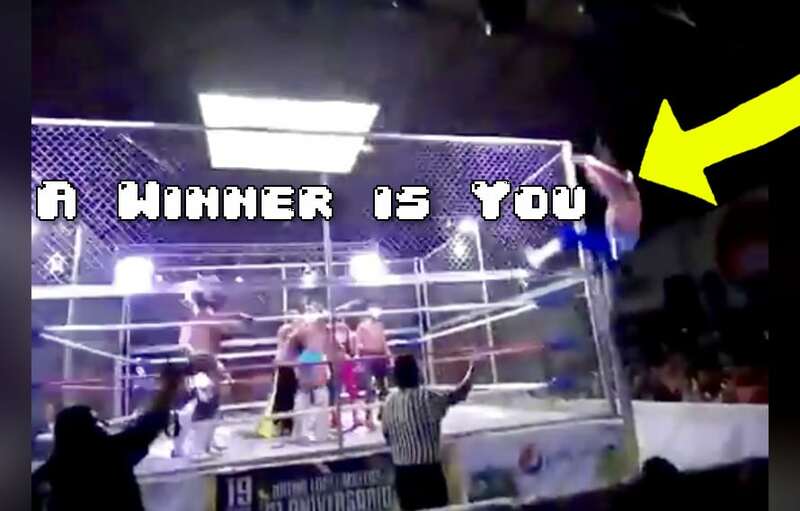 Bless you luchador who falls backwards off the cage for our entertainment. You ever watch a video and it gets better with each passing view? This is that video. From a pro wrestling promotion somewhere, we have a masked man losing his balance at the top of the cage and eliminating himself. Sometimes arts just speaks and watching Chucho el Roto repeatedly tumble to the ground speaks to us. Next articleRumor: Fox signs WWE to an one billion dollar deal, where does that leave the UFC? GIF: Who did it worse? Fighter hits nothing but air Showtime punch or fighter KO’s himself?